Old Colony Heating, Air Conditioning & Plumbing is proud to serve the Canton community! Please call us today at 781-536-8197 to consult with our home comfort specialist. 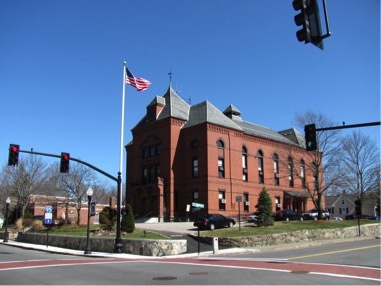 About Canton, MA - Happy to be your hometown Heating & Air Conditioning Contractor! Canton, Massachusetts is a Norfolk County town with about 21,600 residents. Canton is found within the Greater Boston area, approximately 15 miles southwest of Boston’s downtown. Canton sits at the foot of Great Blue Hill, and the Canton River flows through the town center. Paul Revere was one of the community’s most famous residents, and he wrote the poem Canton Dale as a way of expressing his affection for the community. Today, top employers in Canton include Reebok, Computershare, MEDITECH, and Dunkin’ Donuts, although the availability of public transportation via the MBTA also makes it easy to commute into Boston for work. Canton is home to a variety of great attractions and things to do when visiting the area. Golf fans might like to book a tee time at Ponkapoag Golf Course or Brookmeadow Country Club, while downhill skiers might prefer an afternoon at the Blue Hills Ski Area. Local farms include Pakeen Farm and Prowse Farm, and both visitors and residents will enjoy checking out some of Canton’s best restaurants, including Rosetta’s Italian Restaurant, the Grape Leaf, Amber Road Café, and Nisa’s Thai. Are you considering a trip to Canton? If so, it is important to know what you’re getting yourself into in terms of climate. Skiers often enjoy a visit to the area during the winter, as the region tends to see considerable snowfall throughout the season. Temperatures are cool or cold, with thermostat readings dropping to below the freezing point overnight. Not only will an energy efficient furnace system keep homes, hotels, and other lodging accommodations warm during these months, but they can also keep utility costs affordable. Climate control costs can also get expensive during the summer months, as weather conditions tend to be hot and humid. With the right air conditioning unit – and periodic servicing from an experienced HVAC technician in the Canton area – you’ll enjoy more affordable cooling costs regardless of how hot and muggy it gets outside.